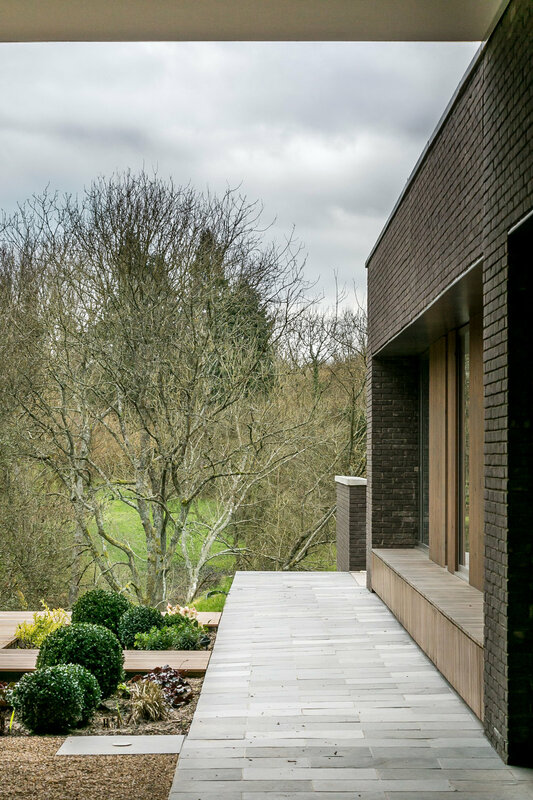 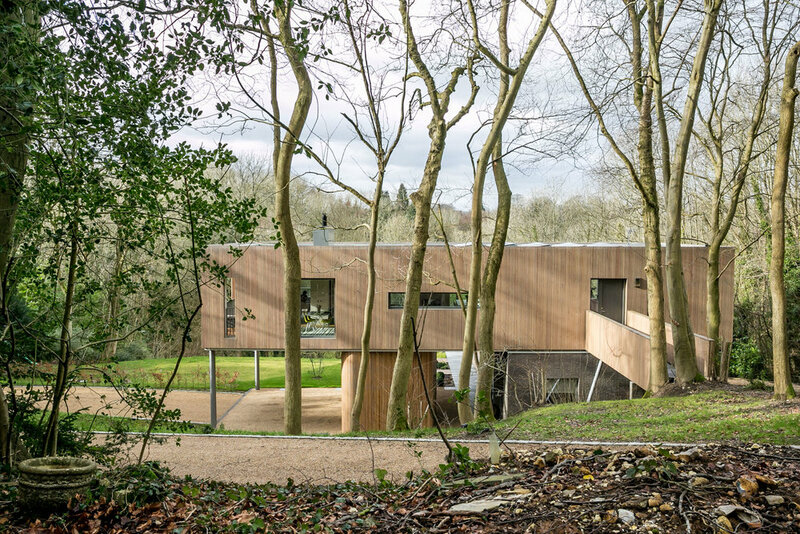 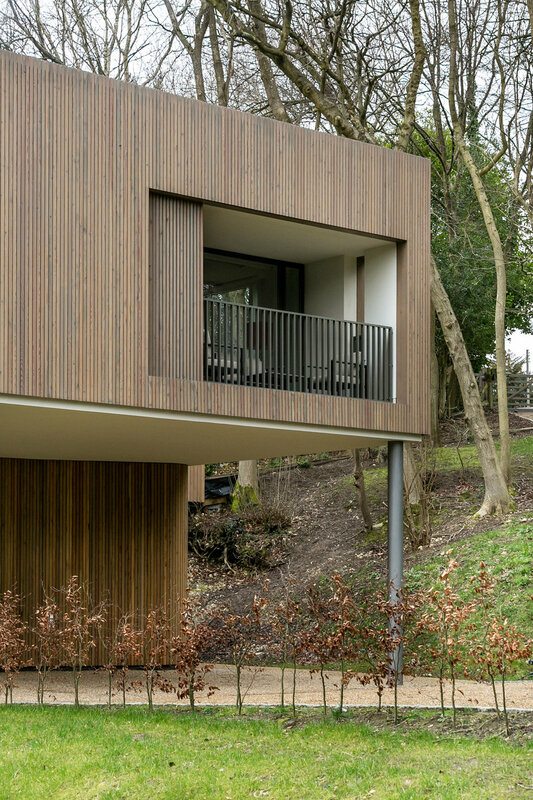 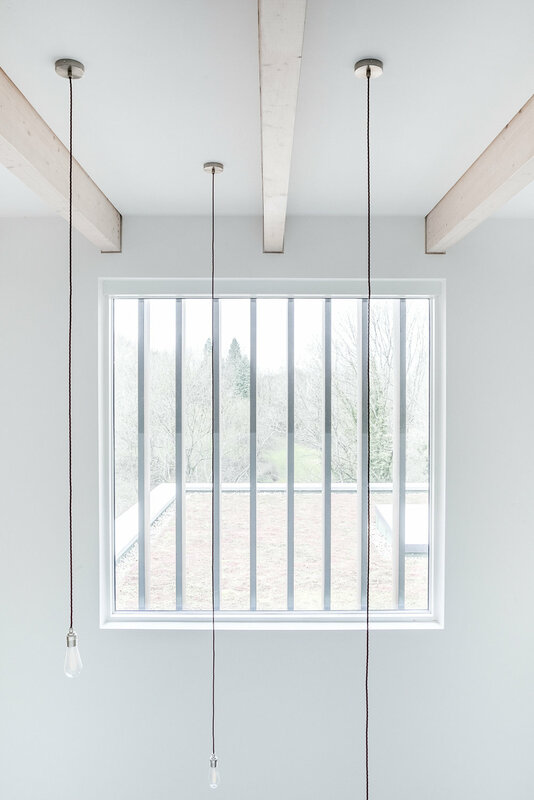 The Wood House is the home of Allies and Morrison Partner Jason Syrett and his family, located on a one acre woodland plot in the North Downs, Surrey. 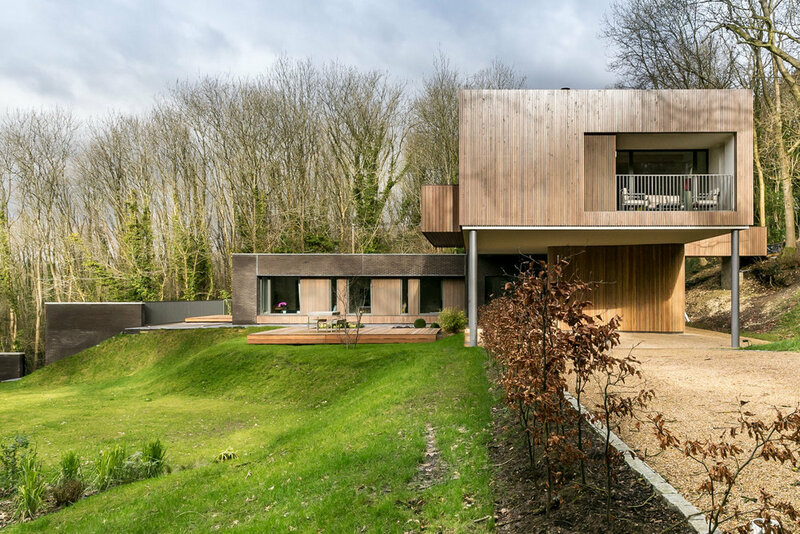 A new build house, it consists of two rectangular volumes; a brick lower level fronted by a south facing garden and a rotated timber clad upper level looking west across the valley. 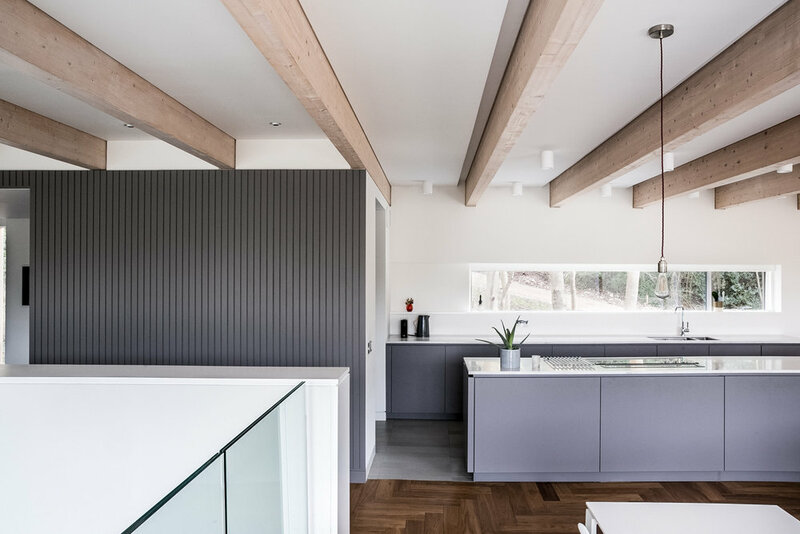 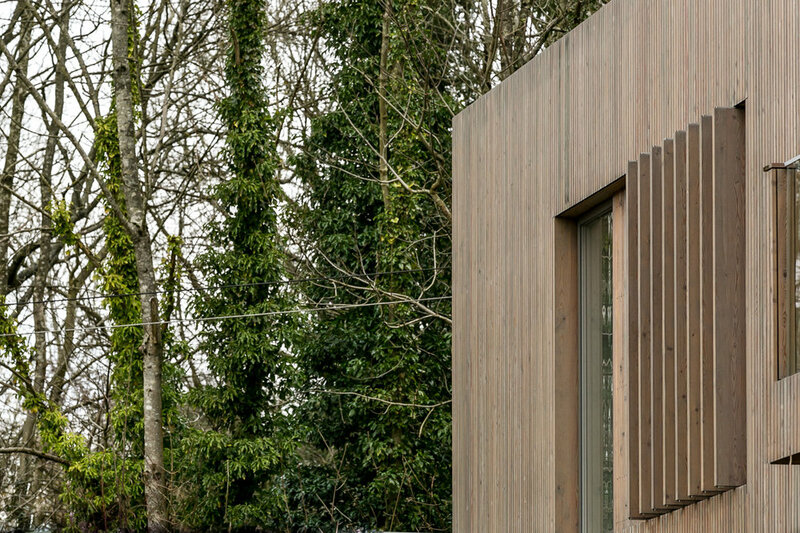 Ecologically sensitive and well-crafted, The Wood House is a modern house with a softer side – a warm and inviting place for a family to call home.